A short flight, including a loop! After a short briefing you will have a 30 minute lesson in a Super Decathlon. 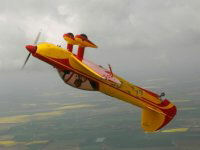 After the instructor has demonstrated some basic manoeuvres it is your turn to have go at some aerobatic movements for yourself. 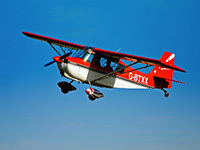 The ultimate thrill for those with a sense of adventure.30-minute aerobatic experience in a Cessna 152 Aerobat. Enjoy the exhilaration of looping the loop, a barrel roll, a stall turn and then back to boast about it to friends and family. 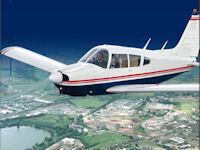 After a short briefing you will have a 40 minute lesson in a Super Decathlon. 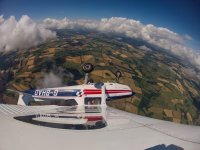 After the instructor has demonstrated some basic manoeuvres it is your turn to have go at some aerobatic movements for yourself. Strap in, hold on and prepare for your High Octane adrenalin ride! 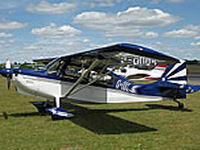 During this mission you will be taken into the sky and view the world from a completely new perspective.